Day 1: Depart London, Heathrow on British Airways overnight service to Entebbe. 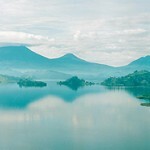 Day 2-5: On arrival, fly by private charter to Bwindi impenetrable forest in South West Uganda. Home to half the world’s mountain gorilla population you will have the chance to come face to face with these great primates. Your visit will assist in ensuring the survival of this fragile population. Other activities in this area might include guided forest walks to the Munyaga waterfalls or relaxing in the comfort of Gorilla Camp which is a new and luxurious tented camp. The huge tents contain two queen size beds and have en suite fully equipped bathrooms providing the most comfortable accommodation in the area. 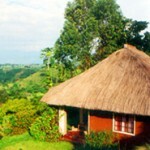 Three nights on a full board basis including one gorilla trekking permit on Day 3, house drinks, laundry. Day 5-8: This morning, your guide will arrive with a four wheel drive vehicle and drive you North to Queen Elizabeth National Park. Roads permitting you will seek out the tree climbing lions of Ishasha, take a picnic lunch on the way before reaching Mweya Safari Lodge. Perched on a peninsula overlooking the Kasinga channel and Lake Edward, the lodge occupies a stunning position and is in prime game viewing territory. The Park has the highest number of bird species in any reserve in Africa. Some 600 including the elusive shoebill stork. 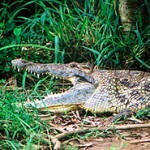 A boat trip is included on the Kasinga channel which links Lakes Edward and George and there may be time to search for Chimpanzees in the Kyambura gorge as well as traditional game drives in the Park. The lodge has extensive reception areas, air conditioned dining rooms and a big swimming pool with lots of loungers around it from which to enjoy the view. Three nights on a full board basis. Includes boat trip and game drives. Day 8-11: Shadowing the impressive Rwenzori Mountains to your left you drive further North and reach Ndali Lodge. Balanced on a remote ridge overlooking crater lakes and with 360 degree views over an ancient volcanic landscape this lodge is one of the most unusual destinations in East Africa. A haven of peace and quiet: a sensory delight. Take a guide and wander around lake Myinambuga below, pause to chat to people working in their shambas, spot bird species such as the colourful Great Blue Turaco, take a boat out on the lake or visit the local and delightfully informal market. One of the days here you travel to the nearby Kibale forest and seek out Chimpanzees with a specialist guide along with other smaller primate species. But definitely make time to day dream from the veranda of your cottage whilst admiring the spectacular view. Three nights on a full board basis. Includes guided chimpanzee trek. Day 11: A return drive to Kampala and the last night in the Sheraton hotel on a bed and breakfast basis. Day 12: An early start for the short drive to Entebbe Airport for a return flight. Day light service. Rates vary according to season. Subject to availability and booking conditions. A fully itemised itinerary is available on request. Kenya Airways is an alternative carrier. 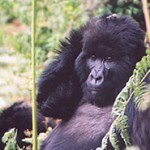 Optional extensions to Murchison National Park and Rwanda for further gorilla sightings. Reductions available if road transfer taken to Bwindi rather than private charter flight. Tracking gorillas can be strenuous so a reasonable level of fitness is required.